This series of Posters covers the major signs seen by a Novice Driver. Some signs are commonplace and others that will get your students thinking. 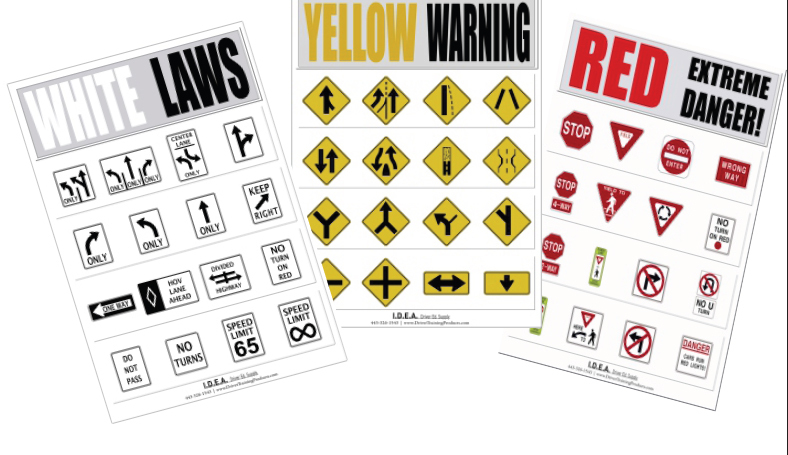 Each poster has (16) Signs and is 23″ Hgt. x 17″ Width.